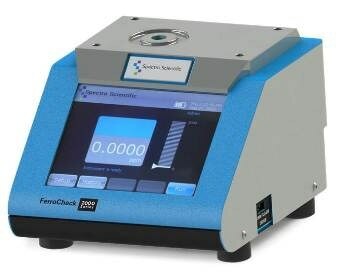 The FerroCheck 2000 from Spectro Scientific is a portable magnetometer that provides accurate and convenient total ferrous measurement of in-service lubricating oils. FerroCheck results are highly reproducible. FerroCheck results are highly linear and accurate across a wide range of concentrations. 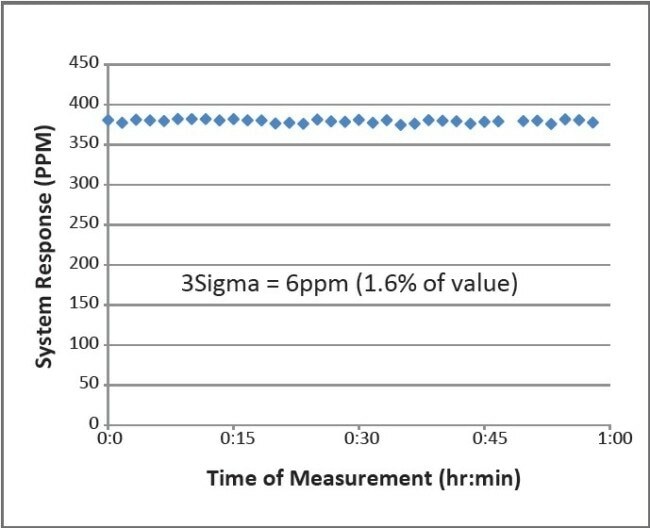 The measurement and trending of abnormal ferrous wear debris in machinery lubrication oils is perhaps the most important indicator of machinery health and a key predictor of disastrous machinery failure. 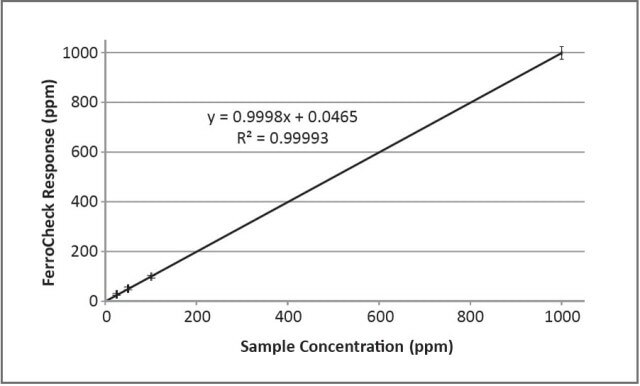 Oil contamination or condition is indicated by other oil analysis parameters. These are the causes and precursors of machinery wear, while ferrous measurement enables the trending of normal and abnormal machinery wear. Magnetometers measure the change in inductance of a coil by the introduction of a ferrous material into the sample cell inside the coil set . The sensing element comprises of three internal coils. The two outside field coils are oppositely wound and are driven by an alternating current source so that their respective magnetic fields are opposed and cancel at the center point between the field coils. The disturbances in the magnetic fields caused by metallic particles in the sensor cell are measured by the centrally positioned sense coil. Each coil is provided with a secondary winding that is wound on top of the primary winding, with close magnetic coupling. As a result, the secondary winding will generate a voltage in close proportion to the back EMF of the primary winding. The difference between the back EMFs of the two coils is the net output of this pair.